Hi, remember me? Sorry I haven't been around, I feel like I'm always full of excuses. I lost my camera charger, and worked too many days in a row then had a long weekend and then am working too many days in a row again. Anyway, this is a good, easy, lazy person dinner. We all know how I love lazy person dinners. You can use whatever leftovers you have, or even just make it plain. Preheat your oven to 350. 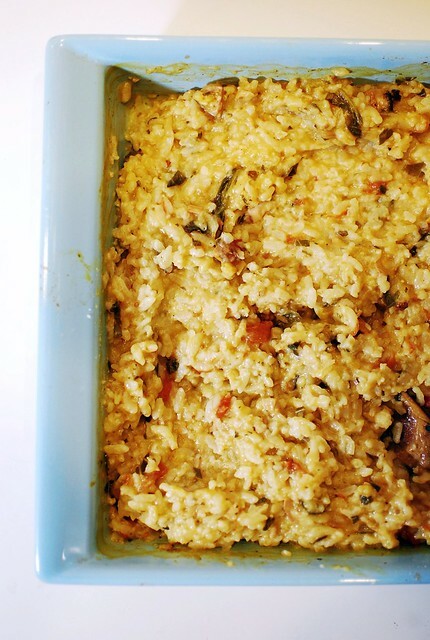 Combine rice and broth and tomato sauce and leftover things in a casserole dish. Stir, then cover with foil and cook 45 minutes. When the rice is done, stir in the cheese, butter, and salt and pepper. Serves four. Ooh, yay, I love leftovers recipes. Of course, they're not really "recipes"...but they're sometimes a great meal. I often make fried rice with leftovers, but last night I made enchiladas with fajita leftovers. I love your risotto option. Too funny! I just saw this post after I posted my own version using barley and leftovers. 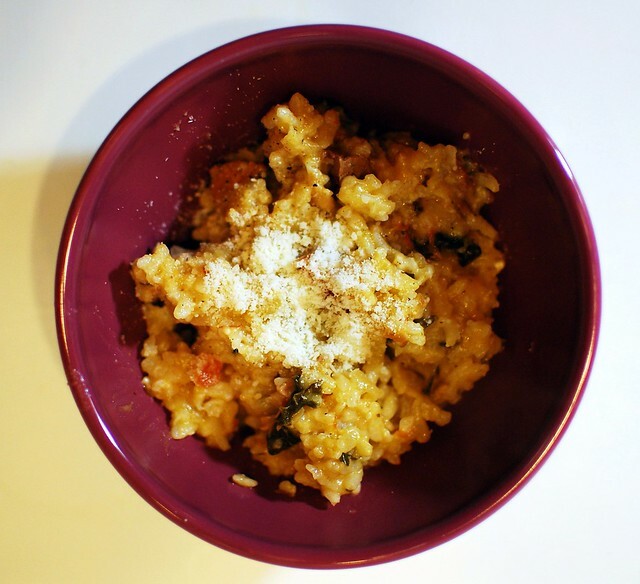 I was inspired by 101 Cookbooks Baked Farro Risotto. It's amazing the way we're all cooking in similar ways at the same time. Inspiration is often seasonal! You used uncooked rice, right? That looks so easy and tasty. Thanks for this. Nice! 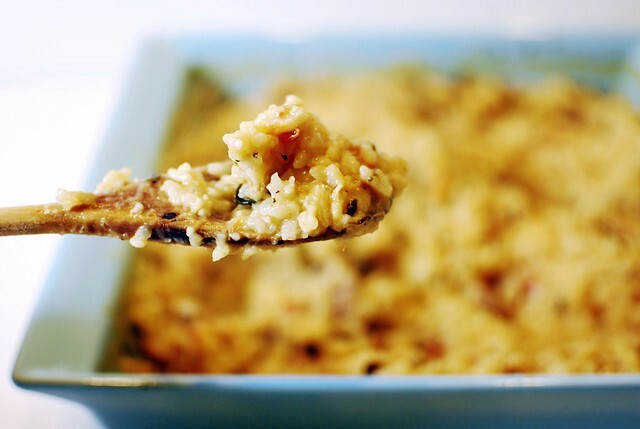 I love risotto because you can literally put whatever you want in it! That is one of my favorite one dish meal cooking methods!